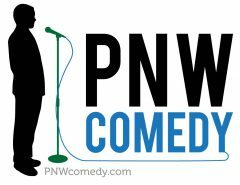 Western Oregon Comedy Competition is back in McMinnville on Saturday, February 9th! What is the WOCC? Well, first off, if you haven’t had the privilege of seeing one of the WOCC rounds before, you’re in for a treat! Basically, a bunch of comics go onstage and then the audience votes for the best comics of the night and top vote-receiving comics move on The Finals of the WOCC (which happens on March 9th) for a shot at a $300 cash, future bookings, and a hella cheesy trophy straight out of the 1980’s! Who are the comics competing in this round? Well, here are the deets! Doors open at 8 PM and the show starts at 9 PM. Tickets will be sold online until 7 PM and any remaining tickets/seats not sold online will be sold at the door once seating begins. For ages 21 and up.